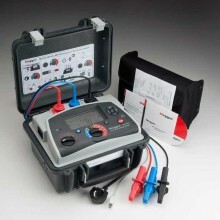 Includes: 3 x 3m Test Leads & Medium Insulated Clips, Power Lead, USB cable, PowerDB Lite software & Megger MIT525 User Guide on CD. 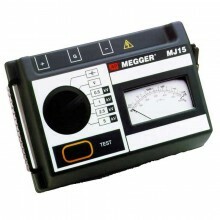 Offering CAT IV, the Megger MIT525 is compact, light 5kV insulation resistance tester for the diagnostic testing and maintenance of high voltage electrical equipment. Enclosed in a tough case it is both smaller and lighter than its predecessor making it even easier to carry and store. 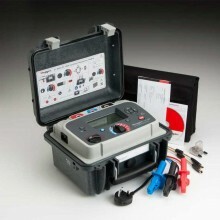 As well as measuring insulation resistance to 10 TΩ, the MIT 525 also offers various diagnostic tests such as Polarisation index, Dielectric Absorption Ratio, Step Voltage, Dielectric discharge and ramp testing. 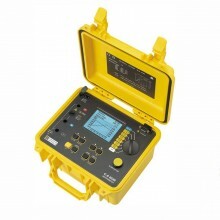 The MIT1025 has a full suite of test modes as well as on-board memory and the ability to stream data/download data to a PC/laptop. 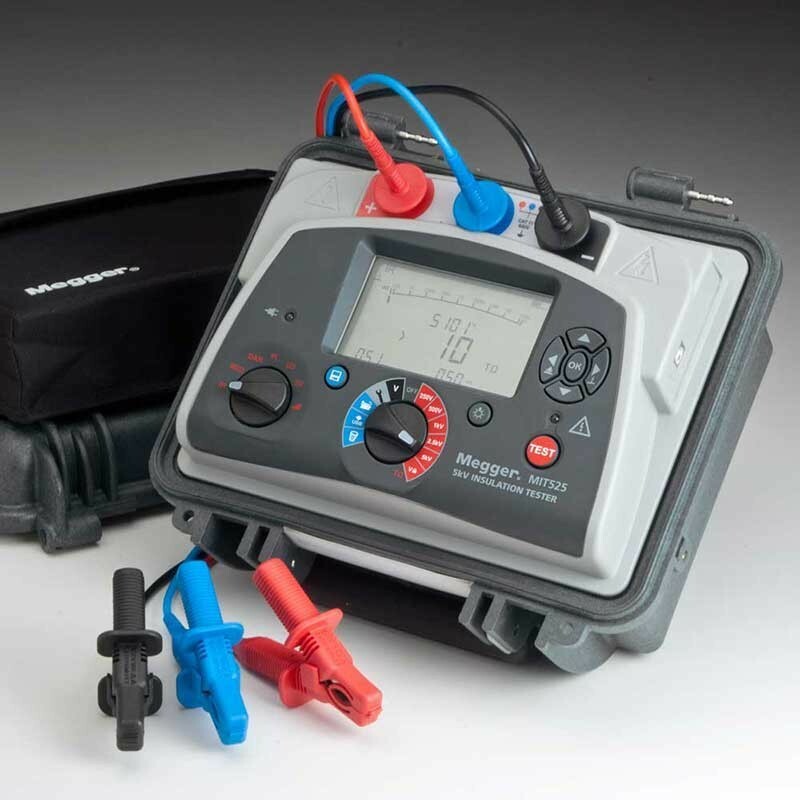 The Megger MIT525 can be powered from the mains supply or by it’s rechargeable battery, which provides for 4½ to 6 hours of continuous testing with a 100 MΩ load, depending on model. The battery pack contains Lithium-ion cells and should be replaced when it no longer holds a charge. 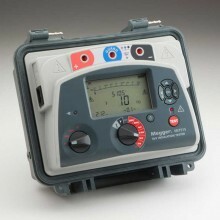 The battery pack is housed within a grey moulded cover secured by four screws. On no account must the transparent inner case be opened. 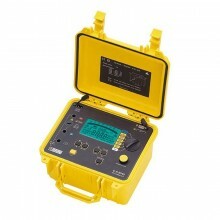 Hazardous voltages up to 10kV will be exposed. 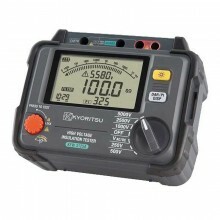 Measures up to 10 TΩ. Safety rated up to CAT IV 1000 V to 3000 m.
Unique dual-case design - additional user protection. 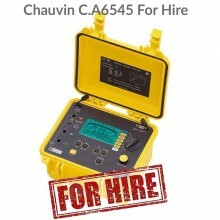 Operates from battery or AC mains supply. Advanced memory with time/date stamp. Max. 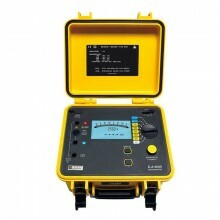 output voltage 5 kV. Max. noise rejection 3 mA. 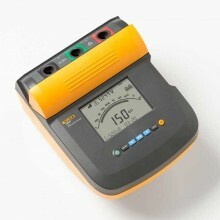 AC voltage (auto-ranging) 90 - 264 V rms. 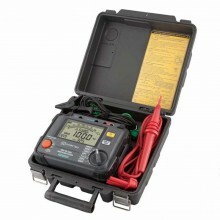 Test voltages 250 V, 500 V, 1000 V, 2500 V, 5000 V.
Resistance range 10 kΩ to 15 TΩ @ 5 kV. 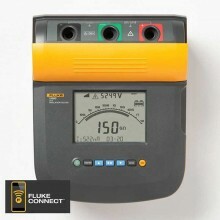 Timer range Up to 99 minutes 59 seconds, 15 second minimum setting. Memory capacity 5.5 hours logging @ 5 sec intervals. 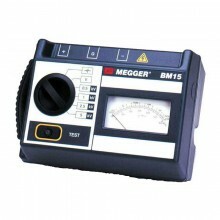 Interface USB type B (device). 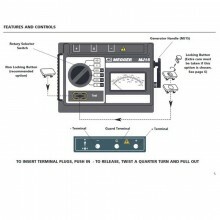 Real time output 1 Hz output readings (V, I, R). 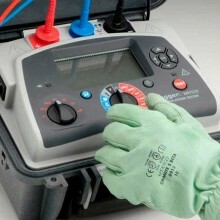 Operating temperature range -20 °C to 50 °C. Battery life 6 hours (typical) continuous testing at 5 kV with a 100 MΩ load. Battery charge time 2.5 hours deep discharge, 2 hours normal discharge. Dimensions 315 x 285 x 181mm. 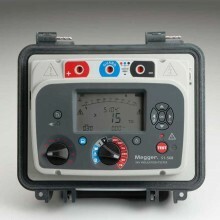 Megger MIT525 Warranty 2 year. 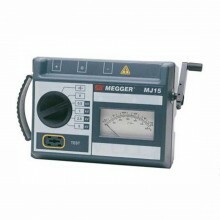 PDF Specifications of the Megger MIT515, MIT525, MIT1025 & MIT1525 HV Insulation Testers.